Today we drove through Manning Park towards the south Okanagan where we’re going to spend a few days with our friend Liz, exploring, visiting favourite wineries, the wonderful Dominion Astrophysical Observatory at White Lake, and eating Doukhobor food in Grand Forks. 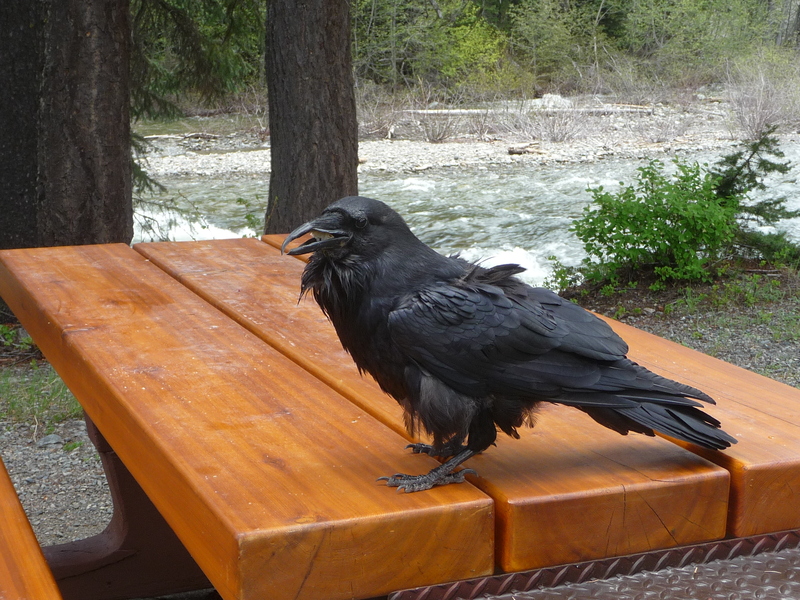 We stopped for a picnic on the Similkameen River and who should saunter over to visit but this raven. 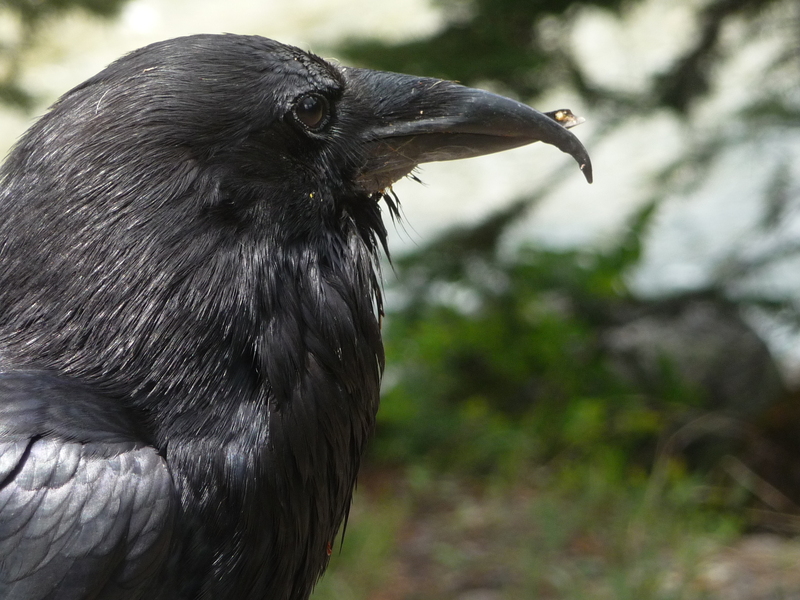 Anyway, it was so interesting to be so close to a raven — crows are often this sociable but ravens are more aloof, stand-offish. And what a life — living on the riverbank, cadging treats from those eating picnic food, the smell of spruce heady in the air, and snow still on the ground. 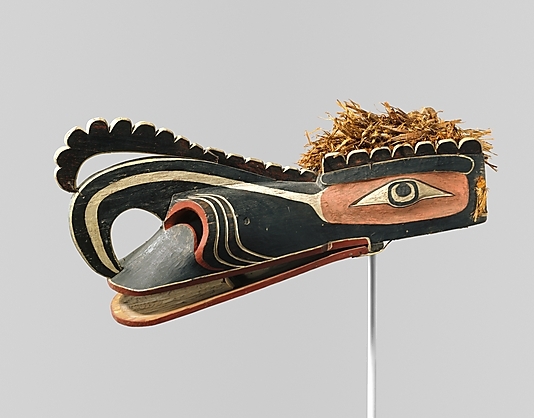 I was reminded of the Kwakwaka’wakw (Kwakiutl) Crooked Beak of Heaven masks I’ve seen all my life and until now didn’t know had a very grounded source of influence. ~ by theresakishkan on June 3, 2014. This entry was posted on June 3, 2014 at 2:15 am and is filed under Uncategorized.You can follow any responses to this entry through the RSS 2.0 feed.You can leave a response, or trackback from your own site.